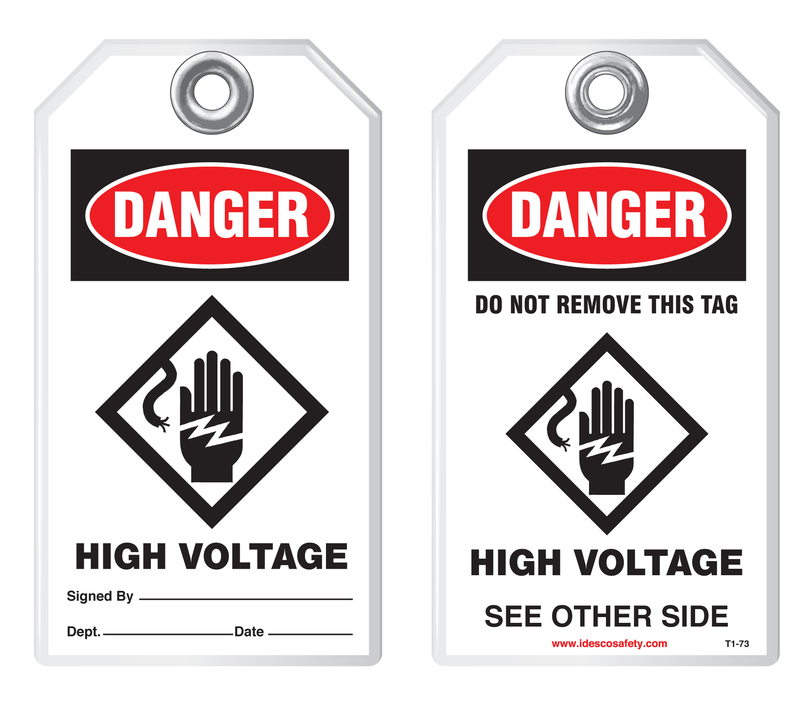 Ths electrical caution sign indicates that there is High Voltage present. 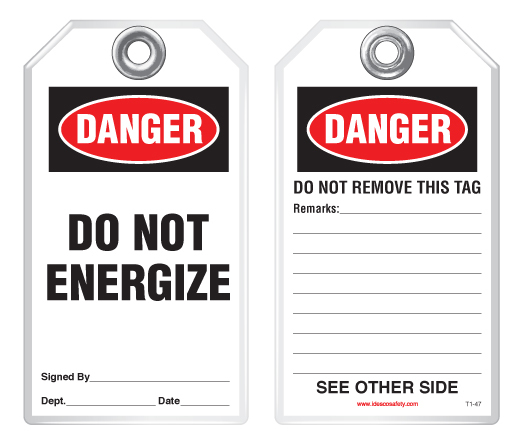 Warning Sign, Before Working On Machinery: De-Energize! 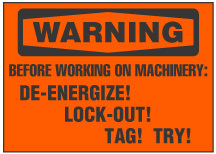 Lockout!